Many members of the GWCT will be active shooters and many will probably remember their first ever gun. I’m willing to bet that for a large proportion of us, that gun was an air rifle? I bet, like me, you had little access to advice from experienced air-gunners, particularly when it came to hunting or vermin control? Well, for your own children or folk new to the air rifle, that’s where I can help. While the majority of shooting folk go on to bigger and more powerful guns (be that shotguns or small bore rifles) there are many of us who find modern air rifles perfectly adequate for small vermin control. I have been carrying out pest control and pot-hunting with air rifles since I was a lad…and that was half a century ago! I started writing about hunting and fieldcraft around ten years ago and have been lucky enough to have written for a number of periodicals over that time. I currently write for Airgun Shooter and The Countryman’s Weekly, but have (in the past) also written for Shooting Times, Airgunner and other periodicals. ‘Wildscribbler’ is my medium for promoting my writing and photo-journalism on rural and country-sports issues. 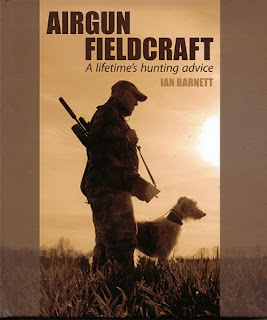 My books (I have now published six shooting related titles) are designed to educate and inform, written in an anecdotal style which takes the reader out into the countryside with me. The modern pre-charged pneumatic (PCP) air rifle as fantastic tool for predator and nuisance control around the farm, in the wood and along the field margins. Silent, relatively cheap to own and maintain, deadly accurate in the right hands and also very safe. Locating and getting close to wild animals, for either shooting or photography, is a black art. My books are packed with hundreds of tips, tricks and hacks learnt across a lifetime of hunting. They include quarry identification, habits and habitat, shooting techniques, how to gain shooting permission, prey and predators. Three titles also contain tips on kitchen preparation and recipes for the pot-hunter, for I firmly believe that we owe it to a culled creature to recycle it, not waste it. 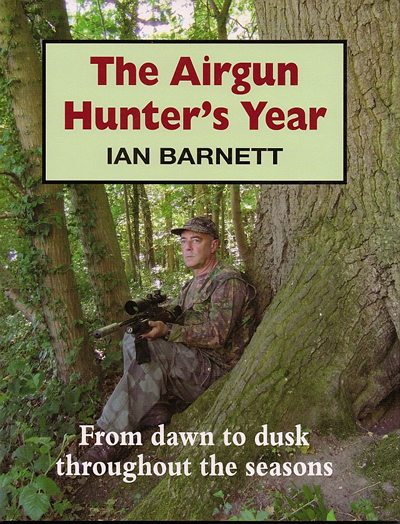 Hundreds of readers of The Airgun Hunter’s Year and Airgun Fieldcraft have said that while reading these books, they were itching to pick up a rifle and get out into the countryside. For there really is a useful part to play in the conservation of songbirds and the protection of crops. If any of my books encourage a single young or novice shooter and instil my own values on gun safety and respect for quarry, then they were worth the writing. If you’re a parent, pick up a copy of one of these titles now and inspire another generation of shooting conservationists.